Middagsfrid uses this direct mail piece to convey the convenience of their home delivered groceries. 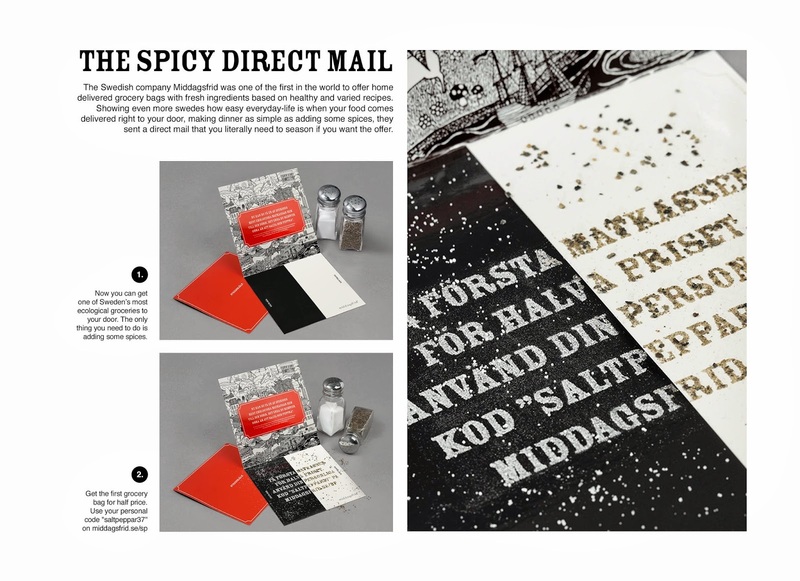 They cleverly added a fun technique to the piece that only allows you to unveil the message and promotional code by seasoning it with salt and pepper. Thus demonstrating how easy everyday-life is when your food comes delivered right to your door!